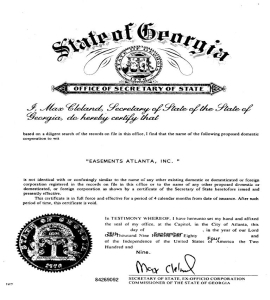 Easements Atlanta Celebrates 30 Years | Easements Atlanta, Inc.
Thirty years ago Easements Atlanta, Inc. (EAI) was a newcomer to Atlanta’s preservation community, but incredible support launched us quickly as a facilitator within the local preservation movement. When EAI was established in 1984, Atlanta had a strong preservation voice. Yet there were limited incentives to encourage historic preservation. EAI was created to bring awareness to the benefits of historic preservation easements at a local level (a preservation tool created by the Federal government in 1976) and accept this type of charitable donation. Within days of opening our doors, EAI began to accept donations of historic preservation easements. Today we hold 40 ea sements, have successfully withstood challenges to our easement agreements, maintained a sound financial footing through a tough economic climate, and are a source of knowledge to property owners and other preservation easement-holding organizations. 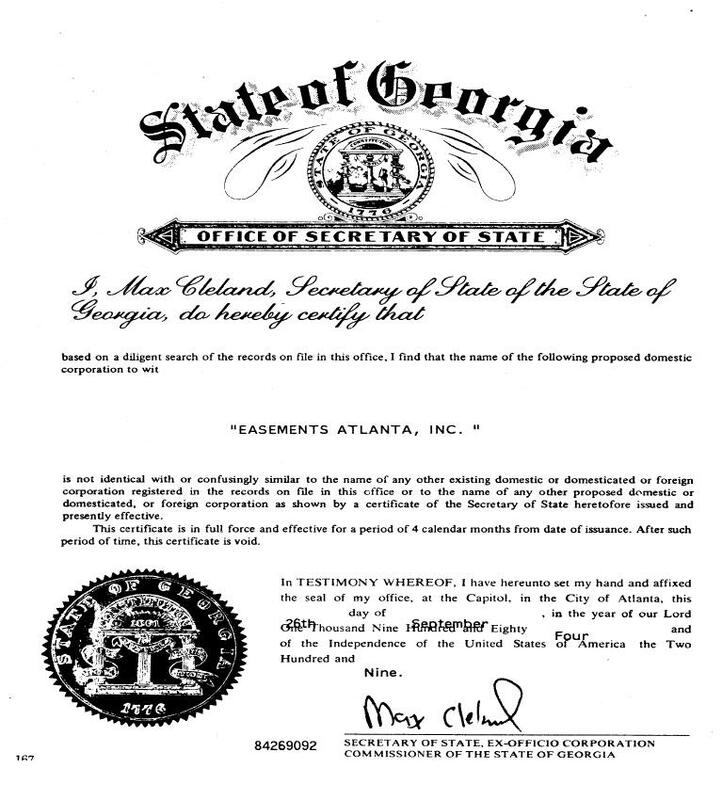 I look at our donated easements and am reminded our portfolio is an incredible compilation of Atlanta’s architectural gems and storied histories. It would be hard for me to imagine Atlanta without them and thankfully I don’t have to because of an easement in place. However, we’re just getting started. 30 years is a short period of time compared to the perpetual nature of preservation easements. There are hundreds of qualified historic properties within Metro Atlanta ripe for an easement donation right now, and every year more architecturally and historically significant properties reach their fifty-year mark to be considered eligible. Many of these properties, too, are hard to envision their absence from our built environment. EAI has the capacity and energy to focus in these areas where there is still a need and a desire to preserve. Our mission continues with strong momentum as we begin our fourth decade on the foundation laid by prior leadership. In the coming months, EAI’s dedicated Board of Directors and staff will roll out new energy for the preservation movement and reinvigorate preservation easements as a relevant preservation and economic development tool. Cheers to EAI and its thirty years of preserving Metro Atlanta’s architectural heritage for our communities now and in the future.